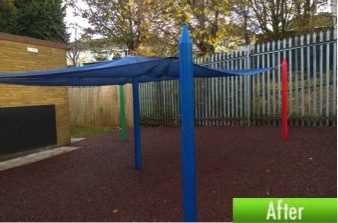 PlaySmart can help in creating the ideal outdoor classroom or learning space for your school with their surfacing for outdoor classrooms. 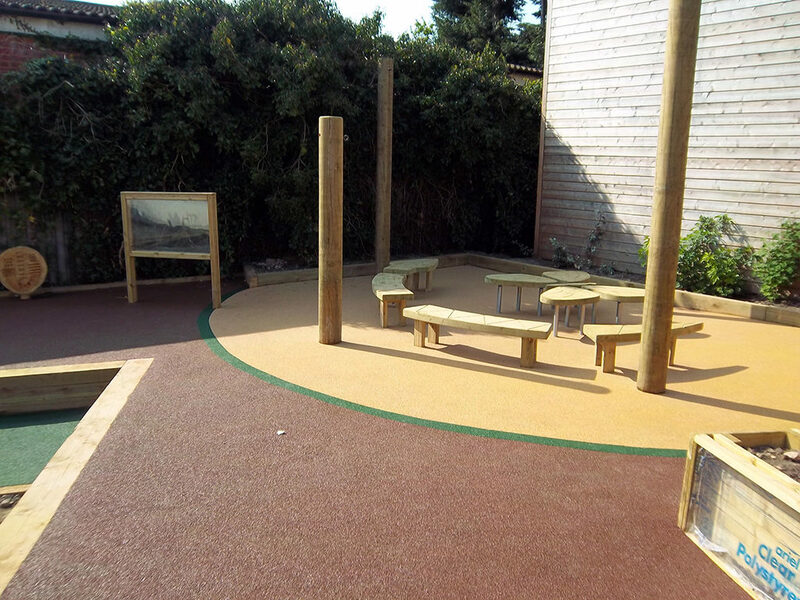 Using our diverse surfacing product range we can help you make the most of your space to make learning in a different environment practical and fun adding an extra dimension to the curriculum. We can also assist in suggesting equipment from our extensive network of kit suppliers to finish the area perfectly. 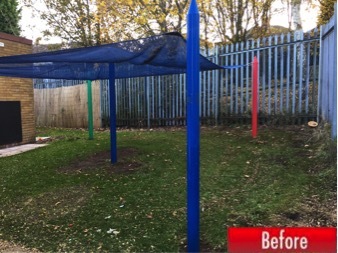 If you have an existing outdoor learning space which is looking tired, we can also assist in giving the surfacing of the area a makeover to make a neglected area useable again. 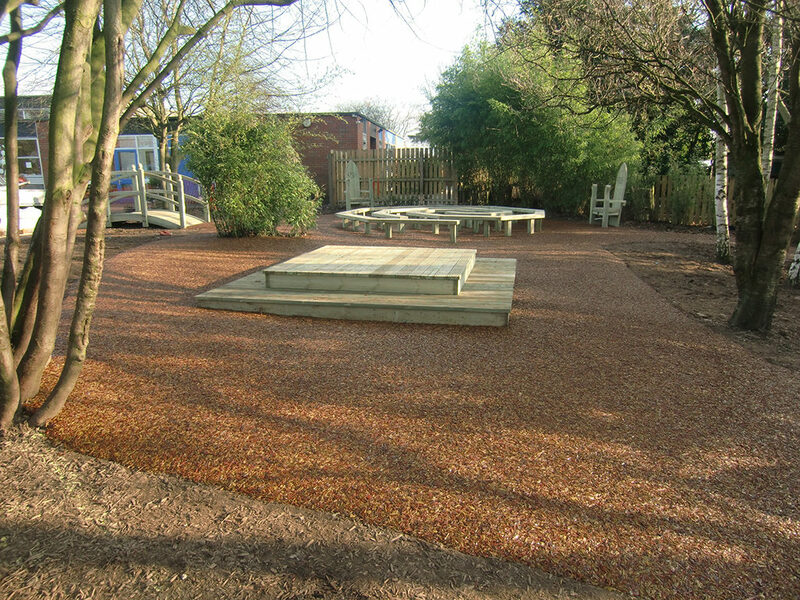 In the below example at Whitgreave Infant School in Wolverhampton we transformed their existing area with the use of JungleMulch so they can get far more use out of the space. If you’d like advice on the best surfacing solution for your area, please feel free to get in touch! You can reach our experienced team directly on 01564 742 811 or request a quick quote here.